When you are out there exploring the world and traveling to new destinations, you want to feel as comfortable as possible. The choice of your travel clothing can make a world of difference in your overall experience, mood, and, oh well, luggage size. For some destinations, you will need clothes that will keep you cool, while for others you will need something to keep you warm and cozy, which means that careful planning of your outfits is of the essence before embarking on your travels. And while style is important, what predetermines the comfort of clothes is mainly the materials they’re made of. Let’s take a look at some of the best materials for travel clothing that are sure to make your experience that much more enjoyable and your luggage size smaller and more compact. Without a doubt, bamboo is one of the most comfortable materials you can find on the market. It has a silky, soft and luxurious feel, making you feel really nice and cozy when wearing it. Furthermore, it has temperature-regulating properties, which means it will keep you warm during the colder days cool in hot weather. 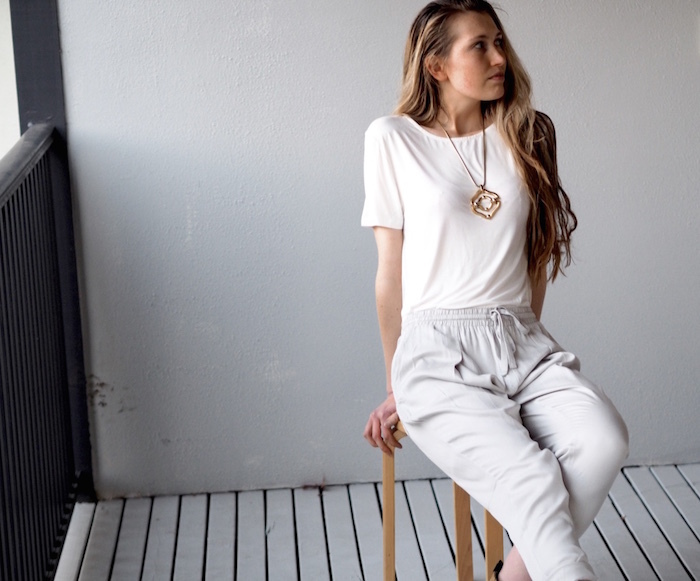 Bamboo clothing is an excellent choice for layering, so choosing pieces like bamboo t-shirts that serve multiple purposes is always a good idea. Bamboo has an extremely long lifespan and it does not wrinkle easily. It is an amazing choice for summer as some brands like Bamboo Body offer bamboo t-shirts and other pieces of clothing that feature a UPF rating of 50+. It is a moisture-wicking and breathable fabric that will keep the sweat away from your body and help you feel comfy, odor free and dry regardless of the weather. Also, bamboo is antibacterial and hypoallergenic, which means it is the perfect choice for people with sensitive skin and allergies. Merino wool is soft and flexible compared to other types of wool which makes it a good choice for traveling. Just like bamboo, merino wool comes with thermoregulating properties which means that you will stay comfortable no matter the weather. It wicks moisture, so any time that you are performing some activity you can rest assured you will stay dry. Also, you can wear your merino shirt longer and not worry about bad odors. It is a lightweight material that does not wrinkle easily. There are a lot of brands on the market that offer merino wool products but they usually come at a higher price, so make sure to first read reviews of the brand to make sure that what you’re spending money on is authentic wool. Probably most of the pieces of clothing in your wardrobe are made from cotton, I know mine are. And that’s for some very obvious reasons – cotton is breathable, comfortable and easy to take care of. But besides having some awesome features, cotton also has some downsides as well. For example, it wrinkles easily and it takes quite some time to dry, which means that in some cases it might not be the best choice for traveling, Also, it does not wick moisture as bamboo and merino do, so if you are headed to some destination in a warm climate, you may feel a bit uncomfortable in your cotton t-shirt. This does not mean that cotton is a bad choice for traveling – it just means that there are specific periods and places where you can wear it for the ultimate experience.